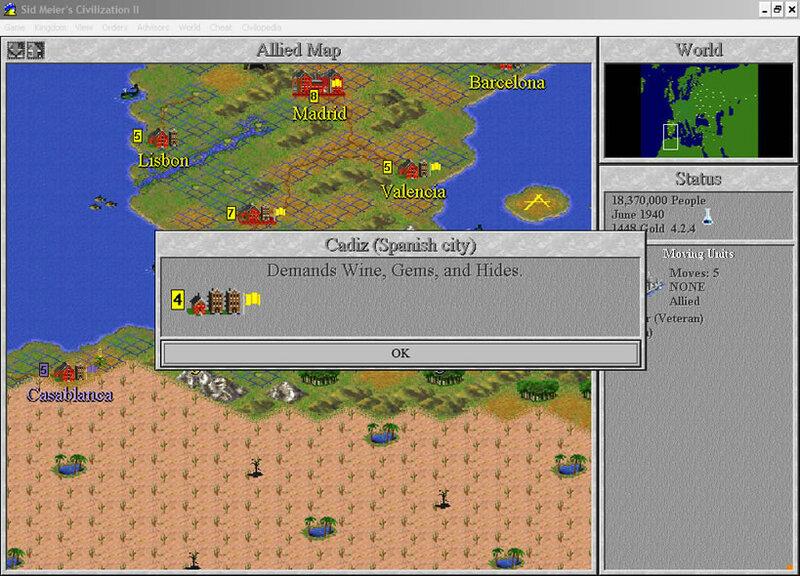 Civilization 2, later renamed Sid Meier's Civilization II, is a turn based strategy game by MicroProse. 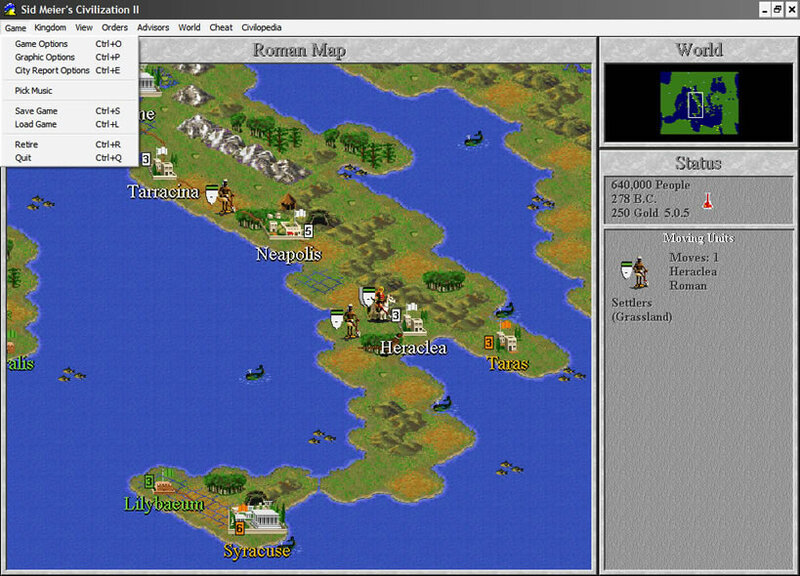 The gameplay is similar to Civilization 1, improving many aspects and introducing new features: a new isometric perspective, unit hit points, new civilizations and wonders, etc. 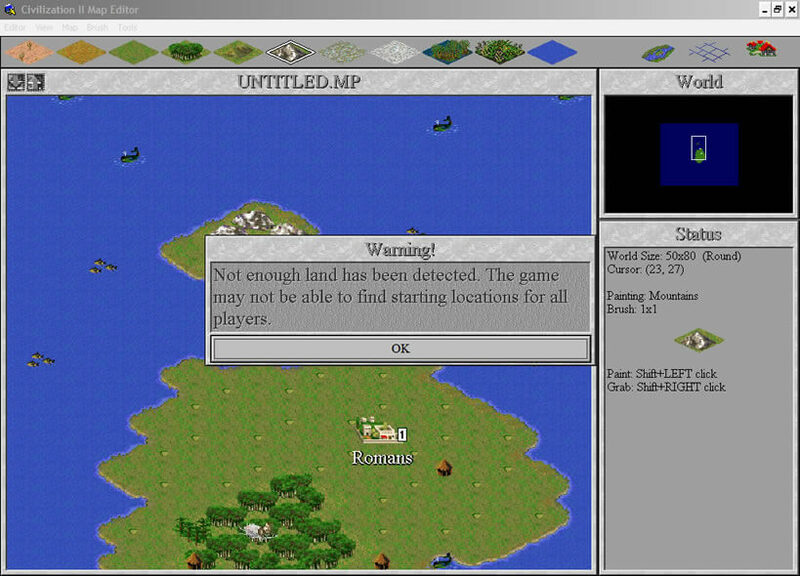 No downloads available for Civilization 2. 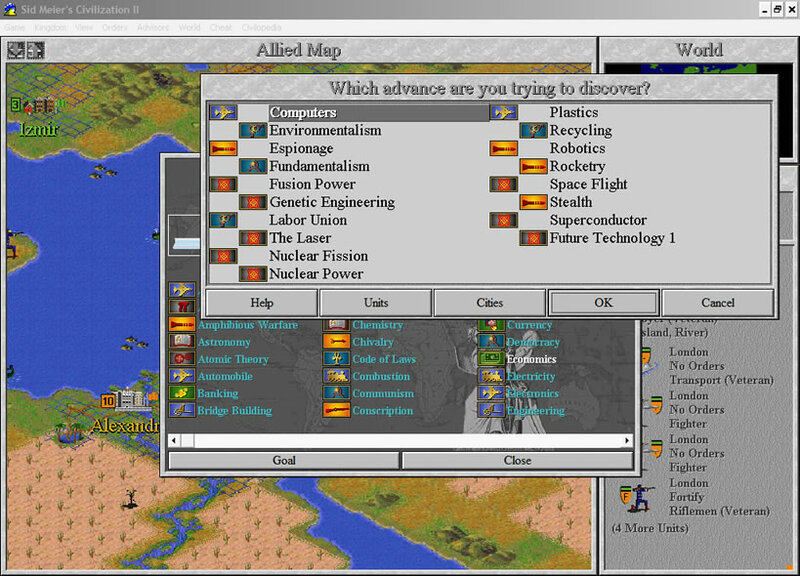 I played Civ2 to death... I remember splitting the Roman empire in two with a carefully placed nuclear strike. Was it Civ 2 or Civ 3? 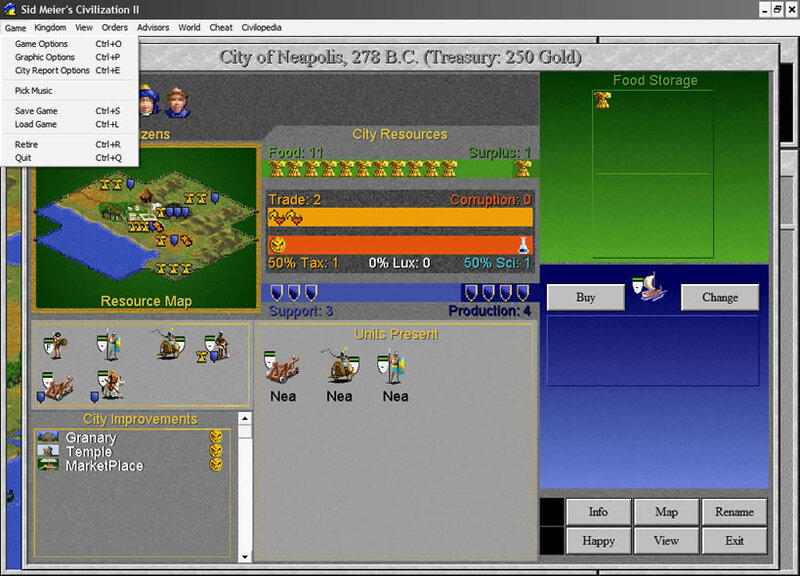 Tell others what you think about Civilization 2: did you play it? Did you like it or hate it? 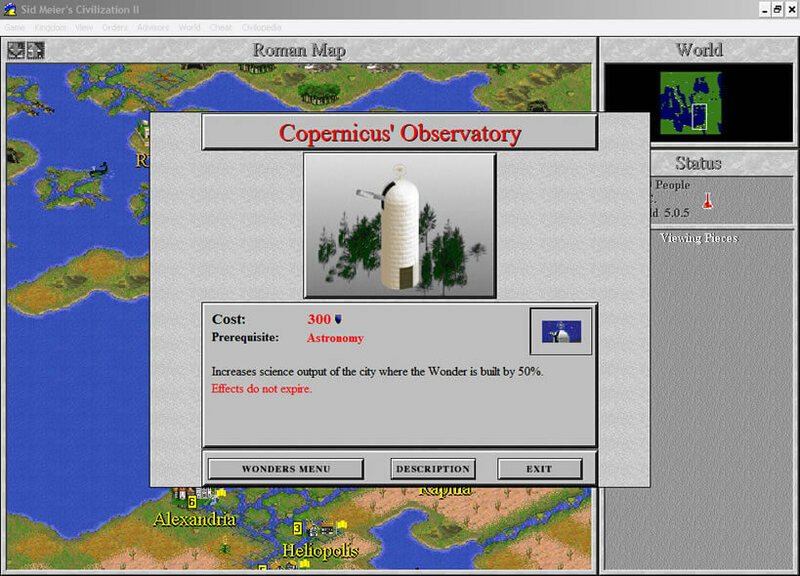 If you have problems running Civilization 2, please read the F.A.Q. first. Your e-mail will NEVER be used for spam. 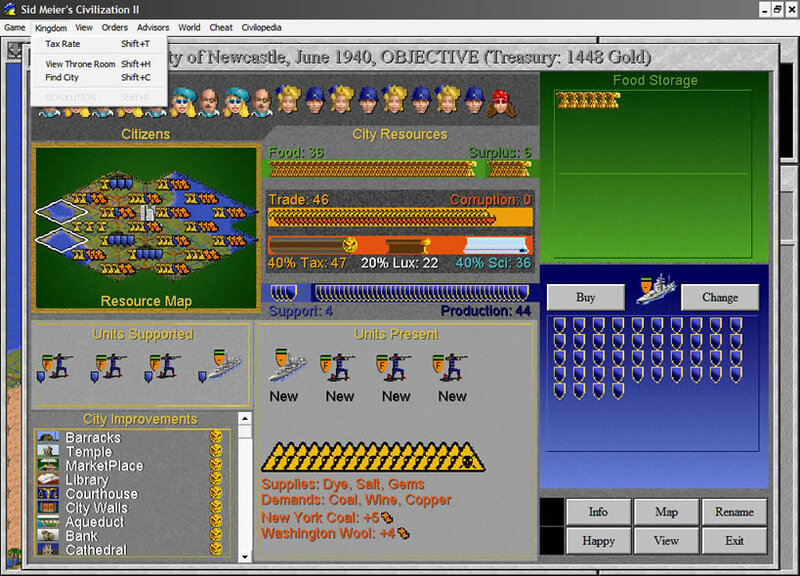 The game was re-released in 1997 as Civilization II: Multiplayer Gold Edition, which bundled both prior expansion packs and added options for networked and hotseat play, and features tweaked AI. 1997 - Best PC/Mac Game, Spotlight Awards (GDC).